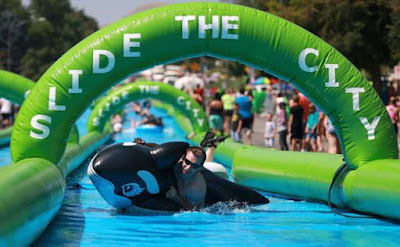 There's nothing like summer in New York, and while August in the City brings lots of heat, it also ushers in some really "cool" events that you shouldn't miss if you are visiting town this week. *The route will be car-free. Event includes recreational activities such as rock climbing, zip-line, 270 foot water slide, fitness classes, arts & crafts workshops and more!